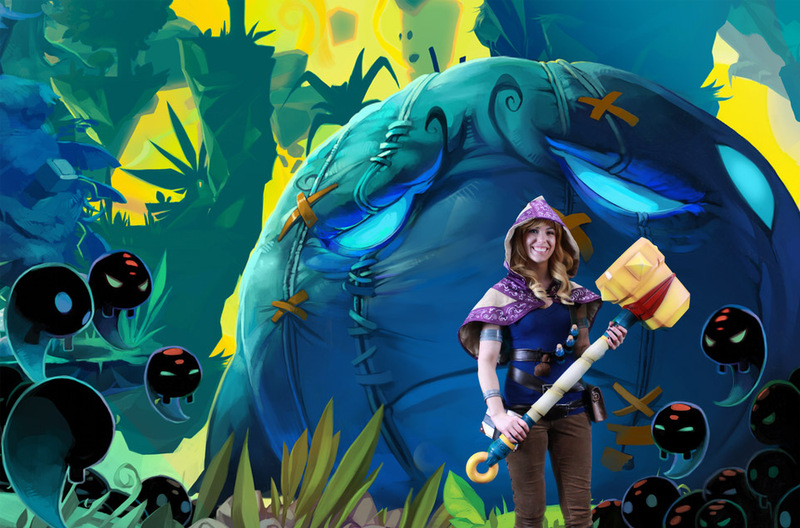 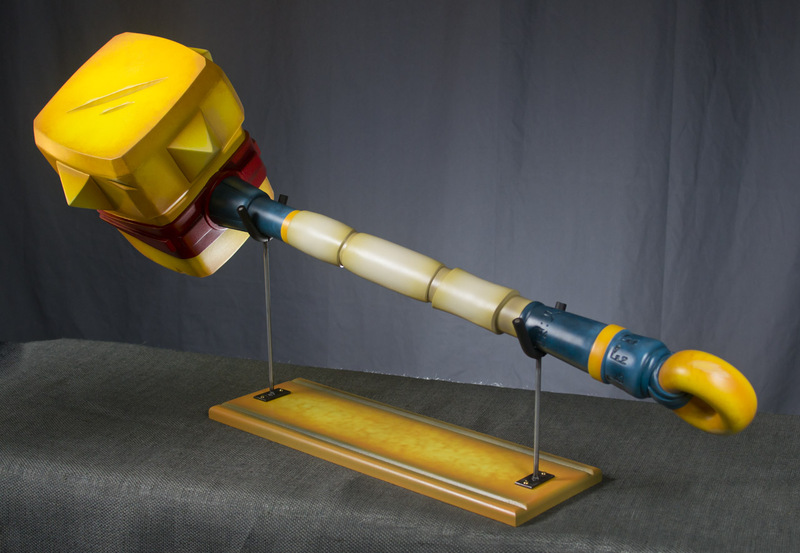 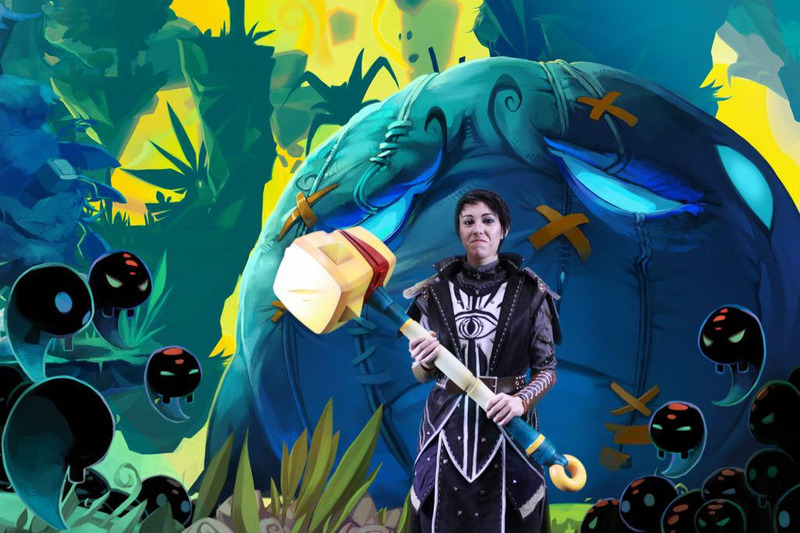 The Cael Hammer was built for Supergiant Games to display at Penny Arcade Expo East 2015. 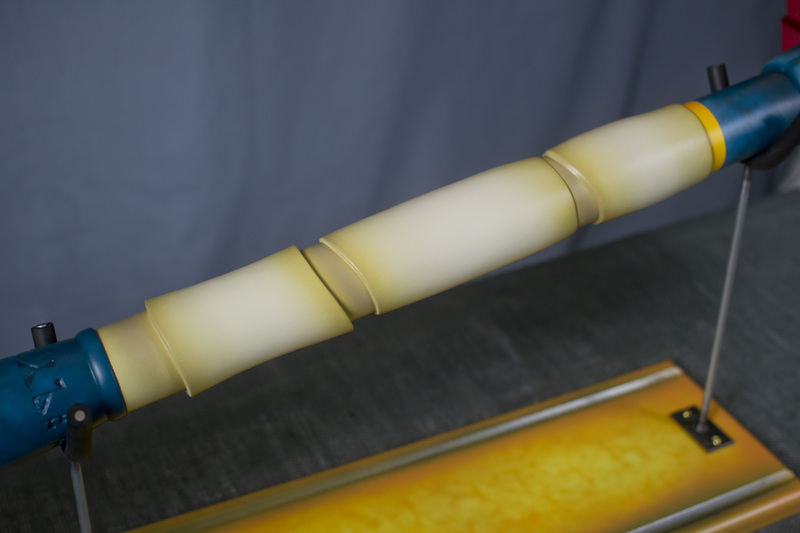 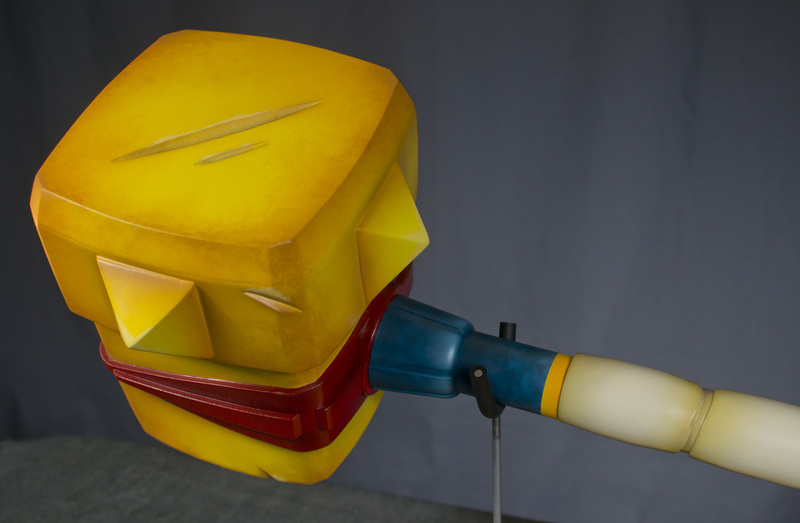 This replica was used in a photobooth by convention attendees, and has been constructed to be both lightweight and durable in order to withstand thousands of pairs of hands wielding it over the course of a three day weekend. 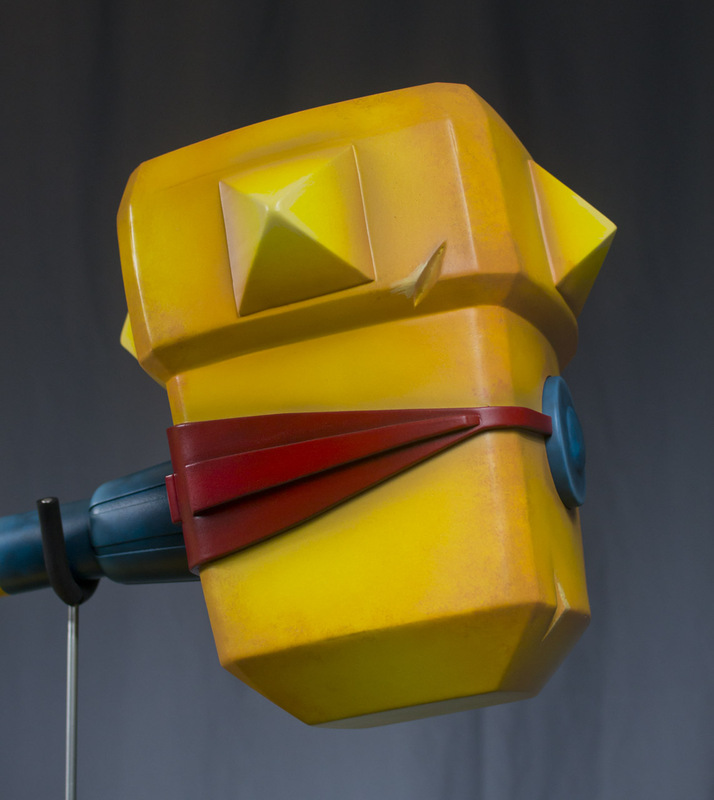 Since Bastion is an isomorphic perspective game, a new high-poly render was created by studio artists specifically for this project. 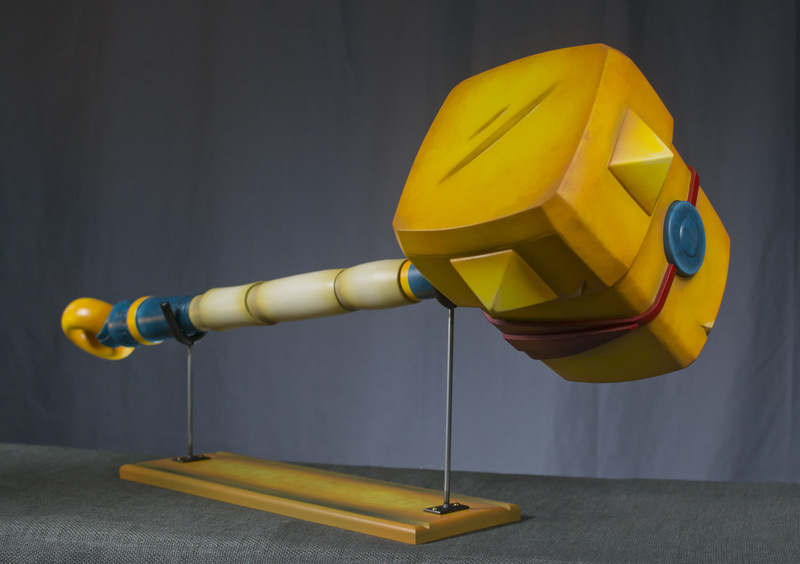 Fully assembled the Cael Hammer is 44 inches long. 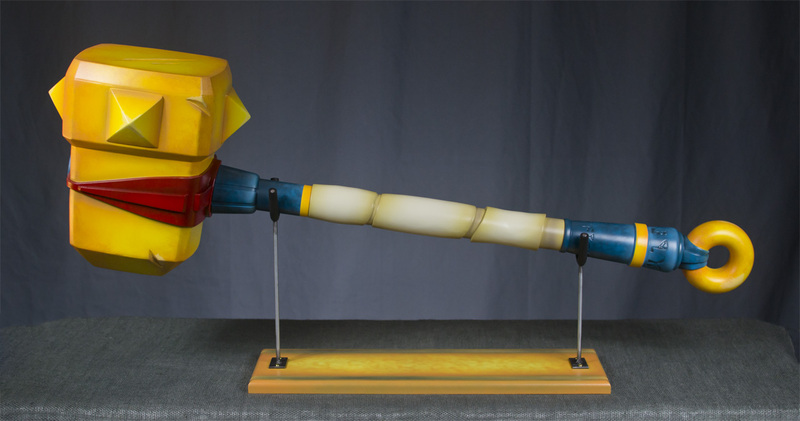 Being constructed from foam and hollow vacuumformed panels keeps the weight to 3.5lbs. 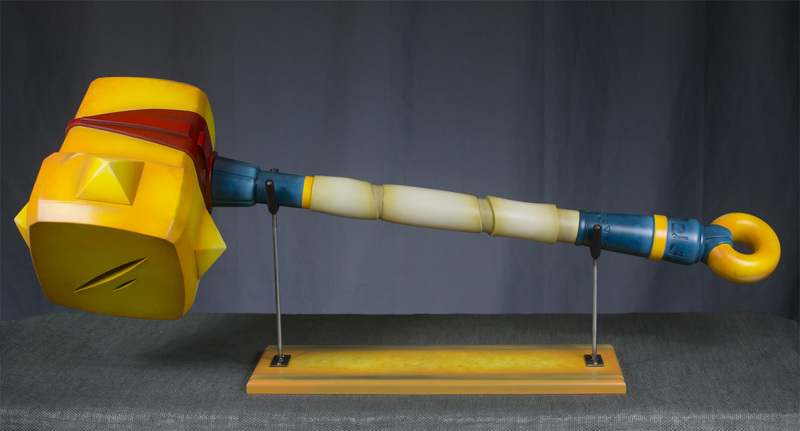 A recessed threaded rod between the handle and the hammer splits the piece into two parts for shipping or future repairs. 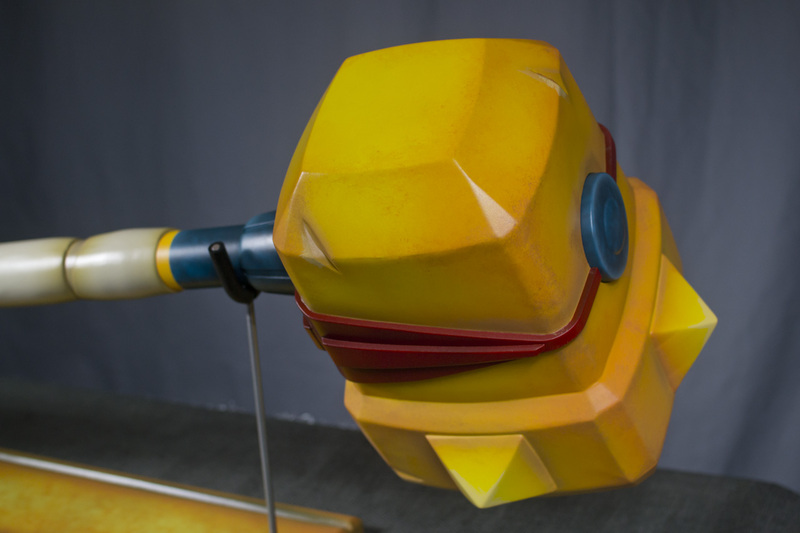 A display base was also created to showcase the replica at the Supergiant Games booth while not in use.